Is this your full-time or part-time job? Are you a certified wedding planner? What kind of training have you had? Have you planned a wedding at (my location) before? Do you have a portfolio of previous weddings that I can see? Will you personally handle all of the details or hire additional help? How will you work with me to develop a wedding budget? Will you make a checklist of all the items I need to accomplish? Will you review vendor contracts before we sign? Do you accept kickbacks from any vendors that you refer? Will you be present at vendor meetings? Will you help with wording and ordering invitations? Will you coordinate set up, delivery, and arrival times with all vendors? Will you create a wedding day timeline for all vendors? Do you plan the ceremony? Will you be at the rehearsal? What do you actually do on the wedding day? How do you charge for your wedding coordinator services? My wedding venue has a site coordinator — why do I need someone else? I have hired a caterer for my wedding at a non-hotel venue and he/she is very helpful. Why do I need your help? I only need a ‘Day-of’ coordinator — can you do that? I was certified as a wedding consultant in 2003 and Bella Celebrations was opened the same year. Prior to becoming a wedding coordinator, I had experience planning large corporate events, which I still do at Bella Celebrations. This is definitely my full time job! I am a certified wedding planner, earning my Wedding Consultant Certification from California State Hayward. The Wedding Consultant Certificate Program is endorsed by the Northern California Chapter of the International Special Events Society (ISES). I also have extensive experience working in sales, marketing and event management for catering companies in Marin and Napa, which gives me the added advantage of knowing the ins and outs of the catering business - providing my clients with the extra edge. Yes, Bella Celebrations has a current business license issued by the City of San Rafael, CA and we have general liability insurance for $2 million. By choice, I plan no more than 15-to-20 weddings and events per year. I typically do no more than 3 weddings per month, with no more than one wedding per weekend. I’m a firm believer in limiting the number of events I do so I can give my clients the quality time and attention they deserve. I have coordinated weddings from just the bride and groom only to hundreds of guests. Size of the guest list is really not the most important factor to consider for a planner — it is really the number of vendors and activities going on that I need to coordinate that make a wedding ‘big’ in a coordinators perspective. Hundreds — at locations all over Napa, Sonoma, Marin, San Francisco, the Peninsula and the East Bay. I am asked this question all the time, and sometimes the answer is yes, sometimes no. As a professional wedding planner, I work at new locations all the time. During the off-season I make regular site visits to new venues to familiarize myself with the location and the staff. The key take-away is to know that if you want your wedding there, I can do it! 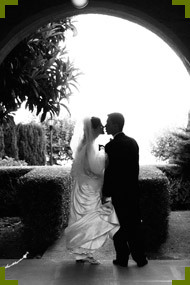 I have wedding albums, photo books, galleries on this website, and other galleries on Facebook as well. I work personally with all of my clients throughout the planning process and am always the lead planner onsite. Depending on the logistics of your wedding or event, I will bring in my assistants to help where needed. Once you have determined your overall wedding budget, I sit down with your to determine your priorities so we can allocate the appropriate percentage to each budget category. For example, if you are more of a foodie and less into music — we allocate more of your budget to catering and less to entertainment. I then create a wedding budget which itemizes the approximate amount allocated in each vendor category. As vendors are hired and actual costs become available, I enter in these amounts and create an actual working budget for us to review together. For all wedding and event clients, I develop a long range timeline for us to use as a planning tool to keep us on track. The timeline lists all activities and tasks that need to be completed by each party by a specified date, including vendor payment dates. I update this timeline on a monthly basis and we set a date each month to review it together to check in on progress made. It is important that you complete the activities listed by the dates specified — to avoid those last minute crunches that can happen. I tailor all vendor referrals to fit each specific client — based on their style, personality, budget, and obviously their availability for your date. After meeting with you and getting to know more about you and your wedding, I send you vendor referrals that are selected especially for you. I also strive to put together a team of vendors that work well together to bring you the best experience. Absolutely. I ask vendors to send me their contracts first so that I can make sure that all details are in order, and then I send them on to you to sign and make payment directly to the vendors. I do not sign venue or vendor contracts or make vendor payments for you. I will the get signed copies of all contracts from the vendors so that I have all of the legally binding documents. No. I do not accept any kickbacks from vendors and will only refer qualified, reputable vendors who will best suit your needs, style, and budget. I will coordinate all vendor meetings for you and we will go to most of them together. The meetings that you can expect to have with vendors are: venue, caterer, floral designer, photographer, baker and Officiant. For certain events, we may make a visit to rental company showrooms, or to hear a band or see a DJ perform. Other vendor arrangements can generally be handled by phone and email. However, as each wedding is different — other vendor meetings may be required as your plans dictate. Absolutely — maps too! And I love to design menus and table cards and other materials that incorporate the design elements of your invitation suite. I work with all vendors, their space and time requirements, and the venue to create a very specific load in and load out schedule so that everything works together seamlessly. The ‘typical’ access time for most venues is two hours prior to the event start time. This means that all vendors need to arrive, unload, move vehicles and set up in two hours, so a staggered arrival schedule with an eye for each vendor’s requirements is key to ensure a smooth and timely set up. After the final walk through with you at the venue, I write your event specs and timeline, and create floor plans. These documents become the master documents detailing every aspect of your wedding day in a very comprehensive format. I will send you the first draft of the documents one month prior to the wedding date — and we will review it together to go over any questions we may have. Once the document is finalized (at least 1 week prior to the event), I send it to all vendors and involved in your wedding. While your Officiant (and you) are responsible for the content of the ceremony itself, I put together an outline of the wedding Processional and Recessional. The Processional document is essentially a mini-timeline of that portion of the wedding, complete with the ceremony music, music cues, line-up of all wedding party members, and any other details of the ceremony that are pertinent to your wedding. We use this outline to guide the ceremony rehearsal so that everyone understands where they need to be and when. I wouldn’t have it any other way. Most often the Officiant is there to run the rehearsal and go over certain elements of the ceremony itself, but I am always there to help with the processional and cues, and recessional. I have seen quite a trend lately for friends or family to be deputized to perform the wedding for the day, so in these situations, it is critical that I am there. I LOVE this question. On your wedding day, I am there to oversee the entire event and to insure that all vendors hired arrive on time and are providing the services/products that they have been hired to do, and that all goes smoothly and according to our timeline. I also help out other vendors where it is needed. I work behind the scenes and am very in tune to the flow of the event. I am definitely not a ‘wedding cop’ that insists that you do everything exactly as it is in my timeline. Once the reception starts, my timeline is merely a guideline — I will check in with you at various points throughout the reception to see if what we had planned at a certain time still works for you — not insist that the cake‐cutting is done precisely at 8 PM because it is on paper. However, I do keep my eye on the end time of the event, as that is dictated by the venue and is generally not flexible. In sum, my goal is to ensure that you have a wonderful stress‐free event and don’t sweat the small stuff. That’s my job. I have a policy to respond to all emails and phone messages in a timely manner. I will respond to all messages within 24 hours. Regardless of the service contracted for, all clients will have access to unlimited communication with me. While I offer ‘packages’, I do not have set fees and I find that customized ‘packages’ are more popular. I charge a flat fee based upon the actual amount of my time that is required. That number is decided only after we have our initial consultation where I learn as much as I can about what it is you are planning for your event so that I can calculate my fees. Beware of coordinators who charge you a percentage of your total wedding budget as their fee. Although some planners operate this way, it carries the risk of unscrupulous planners deliberately choosing vendors that inflate your budget. In my contract, my payment schedule is specified: the first payment is one-half the total amount (due within 5 days of the contract date). Second payment is due halfway through the planning process and final payment is due to me three weeks prior to the event date. I do not charge for travel, but if the wedding location is further than 2 hours from my office, I do ask for two nights’ reasonable accommodations (for the rehearsal night and wedding night). Most wedding venues, banquet facilities and hotels have staff, which in addition to other duties, also act as on-site coordinators. Their main concern is making sure their property is taken care of. While most are extremely professional and experienced, their main priority is their venue. An off-premise caterer (off-premise catering is serving food at a location away from the caterer’s food production facility). Typically, off-premise catering managers have the job of overseeing the details that are directly related to their own setup, staff, food and beverage. It is not in their job description to confirm your vendors, run your rehearsal, oversee the vendors on your wedding day, cue you down the aisle at your ceremony, and make sure all of the day’s events are running according to schedule. Furthermore, the catering manager typically leaves once the meal service has begun. I feel very passionate about the term “day-of” coordinator. A wedding is a coordinated (orchestrated) event with many moving parts, similar to a symphony. Would a symphony conductor walk in to a performance without knowing the symphony, the music, and the musicians? Every couple deserves a wedding planner and many recognize the exceptional value of having one. However, because of current terminology some couples anticipate they can hire a planner just for the day of the wedding. The facts are: the “Day of Coordinator” does not exist. The term was picked up by the public and has made its way into the everyday vernacular. No professional coordinator will merely show up on your wedding day to coordinate the work of vendors they know nothing about without being prepared. No couple wants someone to walk in and pretend to run the show with no prior knowledge of their wedding or preparation! The only way a planner can successfully execute a client’s wedding is to fully understand their vision and what they have contracted with their team of vendors. The minimal amount of pre-planning required involves pre-wedding meetings; review of all of your vendor contracts for the services/products provided and arrival/set up/strike times, timelines, production schedules, venue logistics, the final walk through with you at the venue, onsite coordination of the rehearsal and wedding day. This generally amounts to a total of 30-45 hours inclusive of your wedding day for any experienced planner. *Portions of this were excerpted from the Wedding Industry Professional Association’s White Paper DEBUNKING THE MYTH OF THE “DAY OF” PLANNER.